The Kankakee rises in northwestern Indiana, approximately 5 miles (8 km) southwest of South Bend. It flows in a straight channelized course, generally southwestward through rural northwestern Indiana, collecting the Yellow River from the south in Starke County, and passing the communities of South Center and English Lake. It forms the border between LaPorte, Porter, and Lake counties on the north and Starke, Jasper, and Newton counties on the south. The river curves westward as it enters Kankakee County in northeastern Illinois. Approximately 3 miles (5 km) southeast of the city of Kankakee, it receives the Iroquois River from the south and turns sharply to the northwest for its lower 35 miles (56 km). It joins the Des Plaines River from the south to form the Illinois River, approximately 50 miles (80 km) southwest of Chicago. The Kankakee River Basin drains 2,989 sq mi (7,740 km2) in northwest Indiana, 2,169 sq mi (5,620 km2) in northeast Illinois, and about 7 sq mi (18 km2) in southwest Lower Michigan. The Kankakee River heads near South Bend, Indiana, then flows westward into Illinois, where it joins with the Des Plaines River to form the Illinois. The area of Lake County which originally drained to Lake Michigan but now drains by means of artificial diversion to the Illinois River is not considered to be part of the Kankakee River Basin study region. 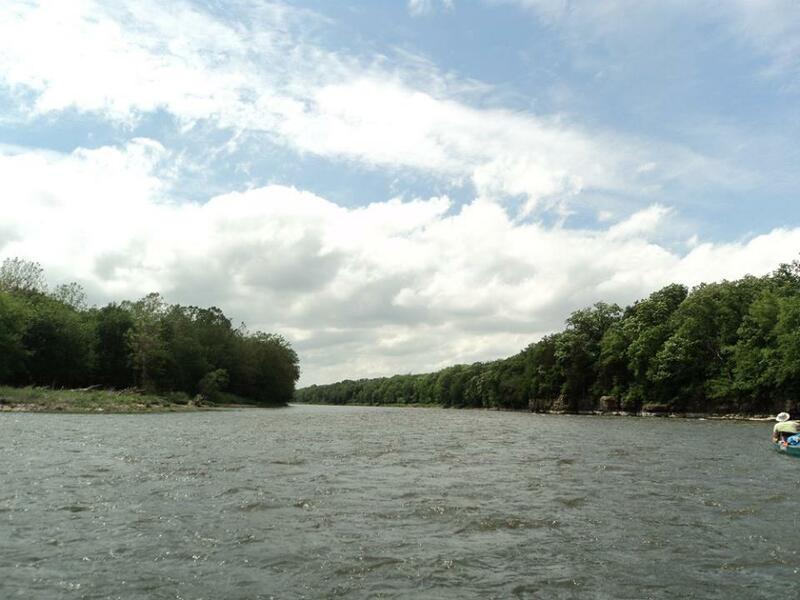 The Kanakee river flows at a pace of 1-3 MPH, and features a gradient of only 1 foot. -The Kankakee river is wider than the Fox and Dupage, but not as wide as the Illinois River. - The river level is consistently deeper than 5ft. -There are an average number of islands. -From Bourbonnais to The Illinois River, there is only 1 dam. -The River ends by the Dresden Nuclear power plant. Located just east of Route 53 bridge. Stay on main river channel (left of island) and avoid the small river right channel and sluice gate to the east. Portage through city park on river right (of river left channel). This is a nasty portage from boat ramp on river right to next opening in cement wall 3/4ths of a mile away. No portage needed. Breach area on river left (south).